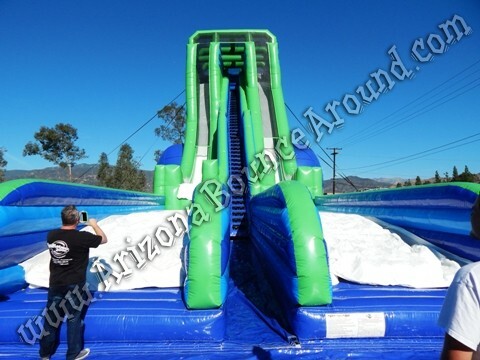 Be sure to check out all the photos below of this amazing 51 foot tall dual lane water slide. Reserve it now for 2019 before you miss out on the hottest new slide for this year. 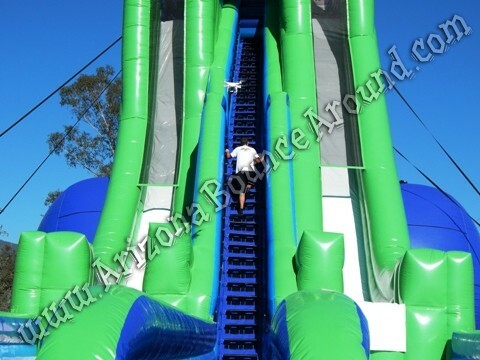 This dual lane water slide features 2 launch ramps that send the riders flying in the air to the landing bags and its 130 feet long. 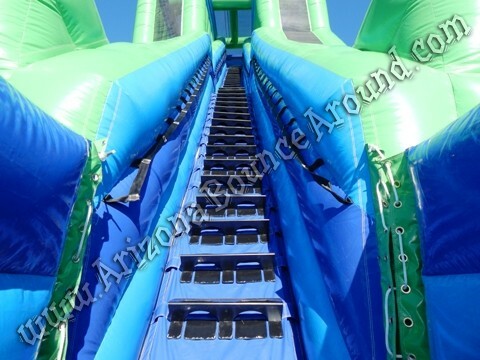 One lane is completely straight down so you experience a free fall sensation before being launched in the air and the other side is very steep and launches you further down the air bag so you can experience 2 different rides on the same slide. 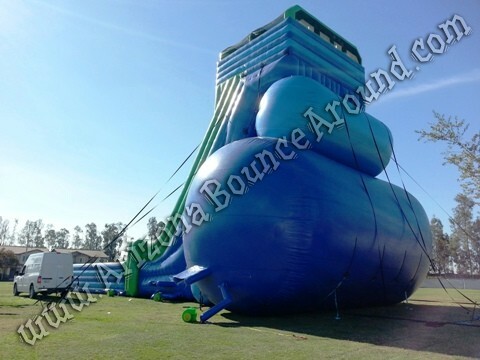 This is the most extreme inflatable water slide available and can only be found at Gravity Play Events. 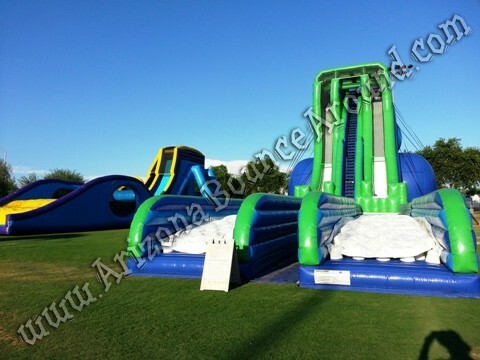 We have this water slide priced very reasonable in relation to the work involved in setting up and taking it down. We make sure all the details are covered so you can have the best experience possible. We offer up to 5 million in Liability insurance coverage with this slide at an additional cost. We include1 million / 2 million in coverage with the listed price. 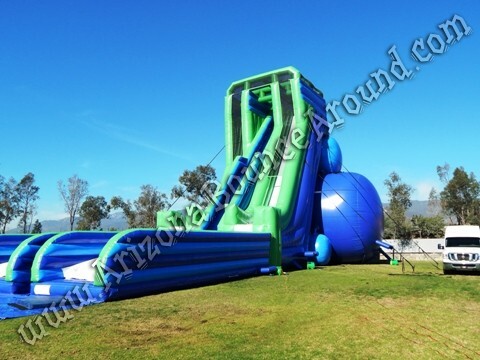 We have 2 awesome 43 foot tall single lane water slides simular to this one that will fit in big yards or tighter spaces so be sure to check it out. 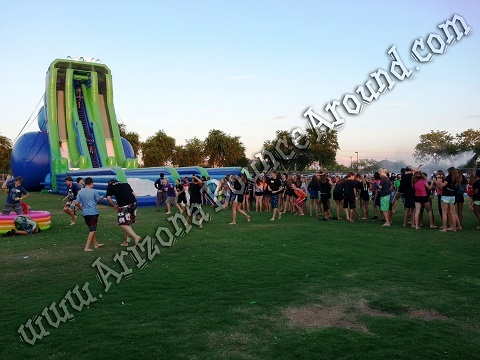 Look close at the guy on the ground near the center of this giant water slide. 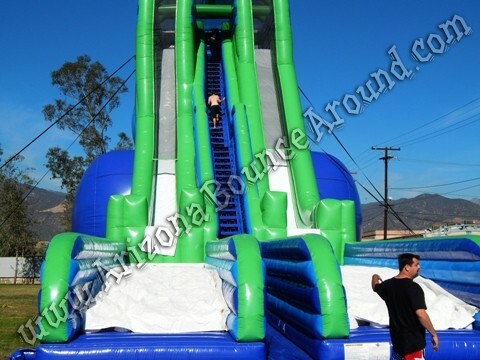 This water slide is so big its hard to get an idea of the size by looking at photos online. 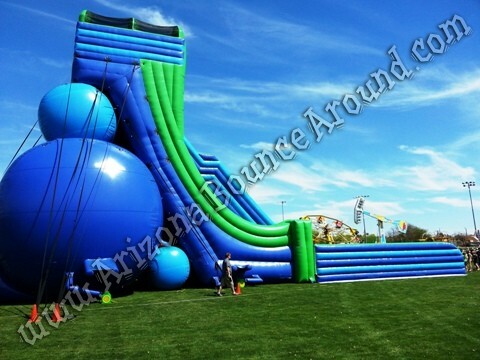 When you see this giant water slide in person its simply amazing and will be sure to draw alot of attention to your party or event. Lots of photos below this one so keep scrolling down to see them. 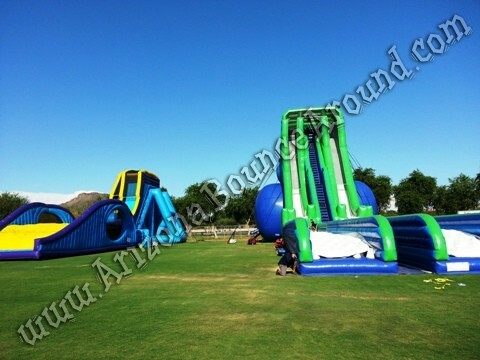 This is one seriouly tall inflatable water slide rental shown next to one of our delivery vans. 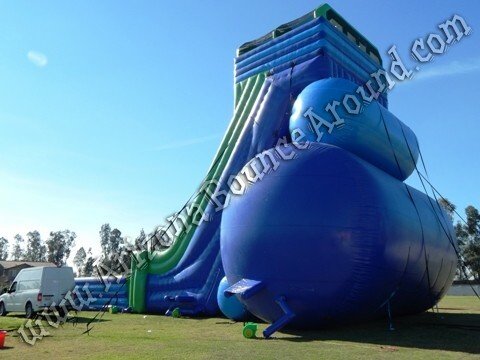 If you're having a summer party or event with lots of people you should really rent this massive inflatable water slide. 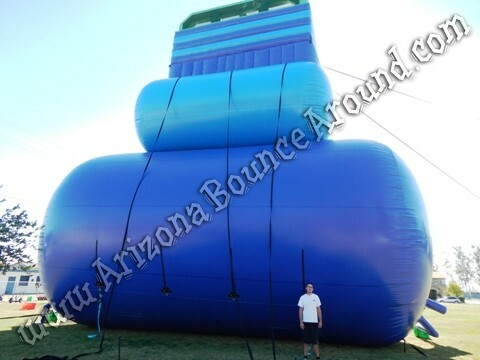 This slide will be sure to attract media attention and thrill anyone who sees itOur dual lane 51 foot tall Skyscraper water slide is simply amazing and is only available for rent from Gravity Play Events in Denver, Colorado. 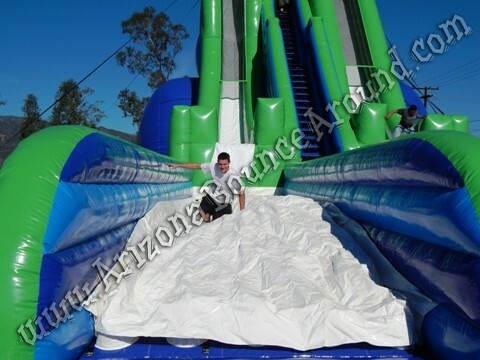 This slide is so tall we may need to put a flashing red light on top at night so planes dont hit it.